By LUDWIG VON KOOPA - The PC Gaming Show wasn't a conference, hence, it can't be ranked in a tier list of conferences! It's not only annual KoopaTV tradition to exhaustively (and exhaustingly) cover the Electronics Entertainment Expo, but to also reflect on what we spend a lot of time covering in a “winners and losers” kind of article. That also means that every year we reject the logic that “mature” pacifists have that E3 isn't “about” winners and losers, and that this is a bad mentality to have. First of all, Sony was a disaster. Let's get that out of the way. There's no excuse for having what is apparently your bombshell announcement at the start of the conference while having totally screwed up sound. What the hell? And then your bombshell ending is Spider-Man? That's not a bombshell. If you want a bombshell ending with an already-announced game, scroll down for the Nintendo write-up. Sony figured that talking is overrated, and after their obligatory (?) waterfall at the start, it was a constant barrage of game trailers with no explained hype behind them. For people watching who don't bow to Sony's every word, it was hard for us to care why Days Gone got so much fanfare from the sycophant audience. It's just a bunch of zombies. The most I cared about was seeing Mega Man X and Zero in Marvel vs. Capcom: Infinite, and that's really pathetic. And I don't even think Monster of the Deep: Final Fantasy XV is a bad thing. In terms of stuff we saw that was interesting, there was A Way Out by Hazelight. Pretty telling that the most cool, innovative concept from EA's conference is just from a game they're merely publishing as an indie promotion. 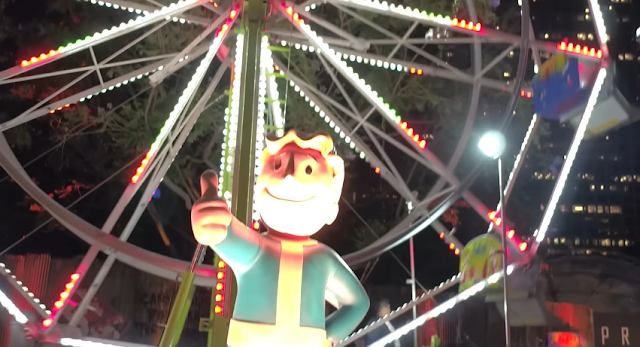 First of all, we loved Bethesdaland as a presentation concept. Bethesdaland was also a physical, real thing theme park they had going on for some reason. I've seen a lot of complaining about the Creation Club that Bethesda introduced, but as someone looking from afar, what do I care? Also, I don't understand what the complaining is even about or what the basis is. Modders that work with Bethesda and go through some sort of process can charge money, while other modders still have free content with less exposure. Sounds fine. The Elder Scrolls V: Skyrim having Link amiibo compatibility to turn it into The Legend of Zelda: Breath of the Wild is pretty...creepy. The Evil Within 2 and Wolfenstein II: The New Colossus are also creepy, but in much more appreciable ways. How did an Aisha-less Ubisoft do? Well, not too bad. The problem Ubisoft had was that they had their biggest announcements as the first and the last things shown (Mario + Rabbids Kingdom Battle and Beyond Good and Evil 2) with the middle being pretty mediocre. We were actually really excitable during those announcements, at least! Skull & Bones isn't anything that looks good, especially compared to Sea of Thieves (see write-up, below). The Just Dance on-stage performance also wasn't anywhere near as nice as last year's. There's a lot of room for improvement here. 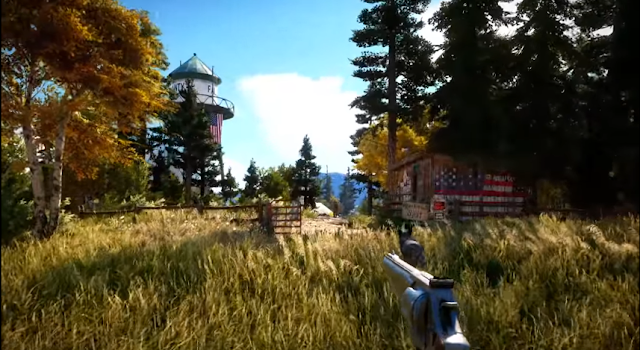 Apparently some white nationalists are upset about Far Cry 5, but that's no reason for US to be upset. It might be the only time these people actually WANT diversity in games. Microsoft made the only hardware announcement of E3 2017, which is bound to be of some importance: Introducing the officially-named Xbox One X! Featuring 4k graphics and improved processing power, along with backwards compatibility. But what about the games? Well, there are plenty of those. Microsoft showcased Dragon Ball FighterZ, which turns out to be one of the most anticipated games of all E3 2017. Sea of Thieves, while getting a lot less hype this year than E3 2016, still was shown to be impressive. Microsoft brought in a cavalry including Super Lucky's Tale, Cuphead, and Crackdown 3. We can't say we cared for Anthem at all. Ah, Nintendo. Of course Nintendo won. Super Mario Odyssey was, by far, the most exciting thing at E3 2017. Nothing is even close. We said that no one wanted to watch Super Mario Odyssey for over two and a half hours straight a few months ago, and that's probably true, but we would've loved to have seen much more Super Mario Odyssey footage throughout Nintendo Treehouse Live than four segments. Fortunately, its lyrical theme song from the trailer played throughout E3, constantly keeping Super Mario Odyssey with us. 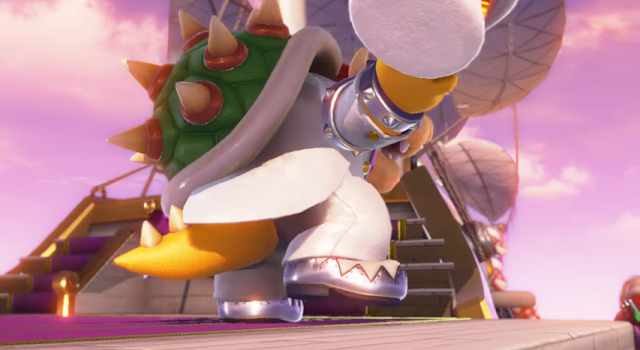 Honestly, there was a lot of re-occurring crap that we hated seeing during Nintendo Treehouse Live (such as Mario + Rabbids Kingdom Battle, Fire Emblem Warriors, and ARMS), but we were willing to tolerate it for games like Yoshi (working title) and Bowser's Minions (real title: Mario & Luigi: Superstar Saga + Bowser's Minions). It was cool that Nintendo had THREE tournaments, but only one of those was actually ran well (the Splatoon 2 one). Breaking it down, there's not THAT much Nintendo had to show to win this year, since as a whole, E3 2017 was pretty... weak. You could say our hats are off to you. The Devolver Digital “conference” also wasn't ranked because it wasn't a real conference, but if it was, it'd either be dead last or above Sony. Do YOU have differing opinions on E3 2017 and how the companies should be ranked? As always, KoopaTV's comments sections are completely open to you. It's freedom like you never knew! Here is the tier list for E3 2016's conferences. If you want Dragon Ball FighterZ on the Nintendo Switch, so do we. Get your E3 2018 tier list here! It was a disappointing E3 overall. Next year's can only be better, or at least I hope it will. The part that's definitely worse is that I have this HORRIBLE BACK PAIN from last week that I still have now. Any ideas on what to do? Besides taking pain relief, performing yoga is stated to be great for back pain. Also, avoid hunching over for too long and maybe place a pillow or something behind you for support. Yeah I was kind of "at the edge of my seat" the whole E3, which is a long time. Would like to clarify it's specifically my UPPER BACK THAT'S IN PAIN. Pillow sounds like a good idea.